Received this recipe from my sister and wanted to share it with everyone. I plan on making them for Christmas. I don’t know how many candy canes this recipe will make. Combine the sugar, water, syrup and cream of tartar in a sauce pan and heat till the sugar has dissolved. 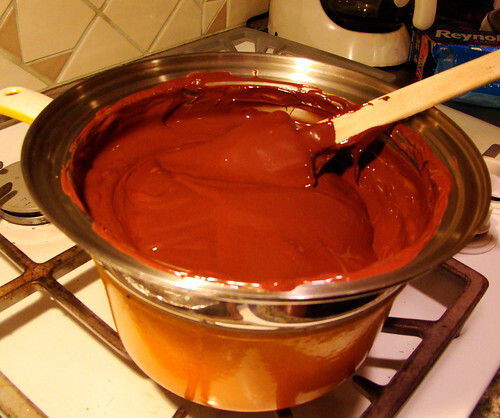 Divide mixture into 2 saucepans, bring to a boil (do not stir the mixtures in both pots) until the candy thermometer reads 280 degrees F.
Add 1/2 teaspoon peppermint into each pot and add the red food coloring into one pot, leaving the other pot plain. Oil an enamel or marble surface or slab. Place mixture from one pot and stretch it like taffy, pulling and forming the mixture into a rope. Set aside and continue with other pot doing the same thing. Take both red and white ropes and twist them around each other again and again. Cut into desired sizes and form into candy cane shapes. Oil the surface lightly again and place candy canes and allow them to harden.